In the summer of 2016, HSFF and the State of New Mexico's Historic Preservation Division co-sponsored the intern and oral historian Hana Crawford for a six-month internship in Agua Fria Village. This started an ongoing relationship with Agua Fria Village Association. On this page, text and a timeline composed by William Mee, an active member of the association. Mee has supplied some photographs from the archives and scanned family photographs from many of those who still live in the village. Agua fría timeline by William Mee, Agua fría Village Association. Designed by melanie McWhorter. download the Timeline here. I am a proud resident of Agua Fría Village is an obscure community five miles southwest of the Santa Fe Plaza, which has basically been overshadowed by the capitol city of La Villa Real de la Santa Fe de San Francisco de Asís, the Royal Town of the Holy Faith of Saint Francis of Assisi. So how could we be noticed in the shadows of such an important sounding place? Especially since we were a community of humble and poor farmers, who spoke only Spanish, watching the world go by on the El Camino Real de Adentro (today’s Agua Fría Street). Once in 1846, Lt. James W. Abert and his passing military column complained that they were charged for animal forage and wood. Well, farming was a business for us; and it was probably gutsy to charge a conquering force a fee. Land, Water, People, Time: the Land has always been the commodity we have had–land rich and cash poor; the Water is what has attracted and sustained people here since 10,000 BCE; the People have had the stories that we tell to keep our history alive; and the Time is expressed as: what has attracted people here to this place, time and time again, since the first Native Americans crossed the land bridges from Asia some 13,000 years ago? People came across the Americas and settled in New Mexico (Folsom 8-9,000 BCE, Clovis 9,500 BCE and Sandia 5-10,000 BCE) since 10,000 BCE–almost as soon as they crossed the land bridges. They were following animals and they went to a place that is maybe not as nice as other places in the country, but it had sufficient areas to graze and water, lots of solar energy for winter gain for south facing cliff dwellings, longer growing seasons, fewer lightning-caused mega-fires, and no hurricanes or tornados; and maybe it was a spiritually-based relocation. Agua Fría is a special place and maybe a state of mind. European history for New Mexico starts with Cabeza de Vaca and Marcos de Niza in 1528, then Coronado in 1539, Antonio de Espejo in 1582, and then the colonizers like Gaspar Castaño de Sosa in 1590 (an illegal expedition), and finally Onate in 1598. As places of settlement sprung up (like Cieneguitas, Agua Fría, La Cienega  and Cieneguilla), they were called Ranchitos, as the population grew they became a Placita. Agua Fría was identified by two groups. The area by the Church was known as “Ranchitos de Los Romeros” (and later “La Placita de Los Romeros”) and the other one in the area of the Tanque, the “watering hole” (area of Lopez Lane and Caja de Oro Road) and it was known as “Ranchitos de Los Lopez” (and became “La Placita de Los Lopez”). In 1776, Fray Francisco Atanacio Dominguez gave a census count to his church superiors listing Pueblo Quemado (Agua Fría) with 57 families and 297 persons. This count was to plan new missions in the Diocese of Durango, Mexico. In 1822, a Mexican map first uses the name Agua Fría Village. In 1835, San Isidro Church was built and named after the patron saint of farmers. Before this, the people in Agua Fría had a strong Catholic faith but found it difficult to attend services at the parroquia in Santa Fe (later Cathedral). Don Jose Jacinto Gallegos raised the idea of building a church, went to his land with his neighbors, tossed his hat to the four winds and built the church on the spot it landed. The most famous event in Agua Fría and a citation you in New Mexico history books is the revolution of August 3, 1837 against Governor Albino Pérez, who raised taxes. 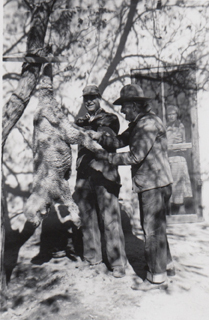 Perez who was unable to suppress the revolution fled south and was caught in Agua Fría (the inscribed rock in the Palace of the Governors courtyard was located at the Hickok and Agua Fría Street intersection, where he was decapitated). His head was kicked down the El Camino Real back to present day Fort Marcy. On August 16, 1949, U.S. Army Lt. 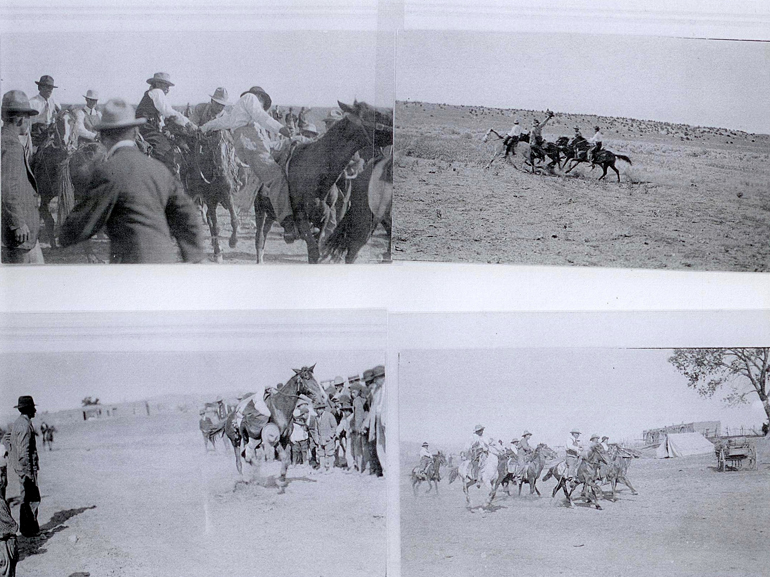 Colonel John M. Washington’s Expedition to Navajo Country went through Agua Fría and noted it in his journal. In 1854, Agua Fría added the “Sheriff of Precinct 5” (Precinto Numero Cinco) as its law and order. In 1861, Captain Charles Probst, from the Probst Remount Station and Inn, near the Henry Lynch Road and Agua Fría Street intersection raised a company of volunteers from Agua Fría for the Union Army. 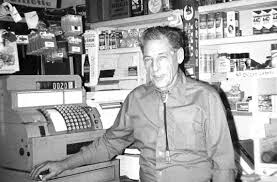 Circa 1900, Jose Antonio Romero opened his General Store and was listed as a Justice of the Peace in the first New Mexico Business Directory of 1905. In 1909, a government survey was conducted by William Corbet, U.S. Geologic Survey, in order to issue U.S. Patents to land holders. 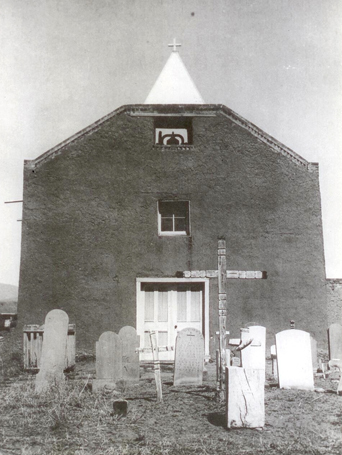 In 1914, a modern 3-room schoolhouse with concrete foundations was built and staffed by three teachers of the Santa Fe County School System; replacing the two one-room schools built in the 1890’s. In 1934, adobes were made for the WPA Agua Fría Elementary School. In 1945, the City of Santa Fe raised its reservoirs and illegally cut off the acequias to Agua Fría; effectively destroying the ability of residents to farm. “Land, Water, People, Time” is a publication of the Northern Rio Grande National Heritage Area (NRGNHA) organization: http://www.santafenewmexican.com/advertising/land-water-people-time/article_ac6cadc6-ed43-11e5-892b-57004894ec36.html. NRGNHA is a group that has funded cultural preservation projects in Agua Fría Village, New Mexico; just as Historic Santa Fe Foundation has been our partner. William Mee, Agua Fria Resident, Originally published in HSFF's October 2016 eZine.